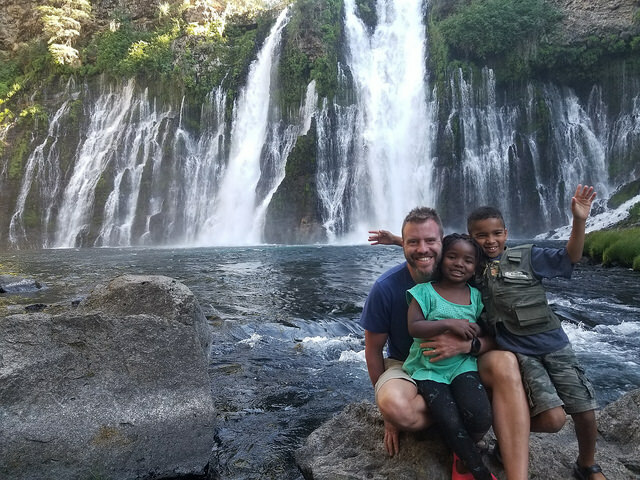 As a parent, I have learned one lesson, that out of all of the things I can give my kids, the gift of travel is probably one of the best. 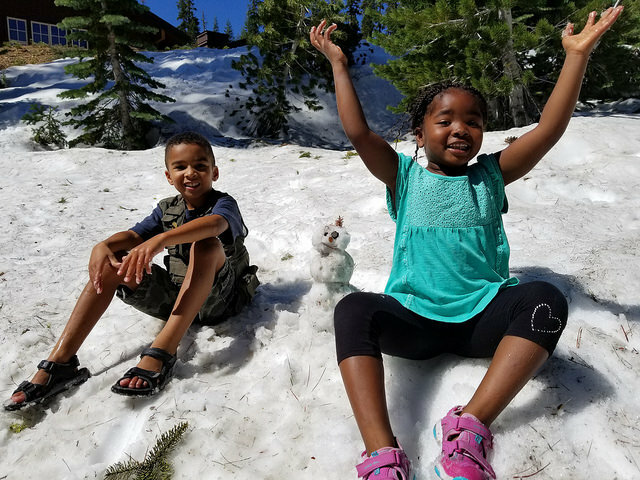 Our summer trips and other trips in between have become something my kids look forward to and always talk about. The actual art of planning a trip is Jenn’s favorite activity (and she is really good at it), the act of getting away is mine. 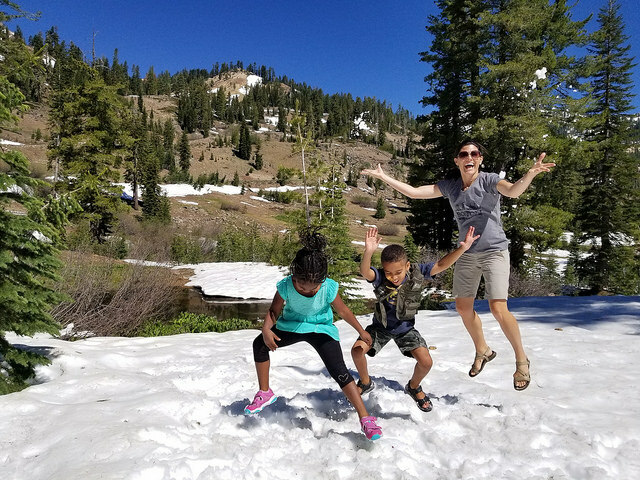 And for our kids, we push them hard because our trips don’t usually involve kicking up our feet and staying in one place. Such was the case with this year’s trip. It started Friday night. 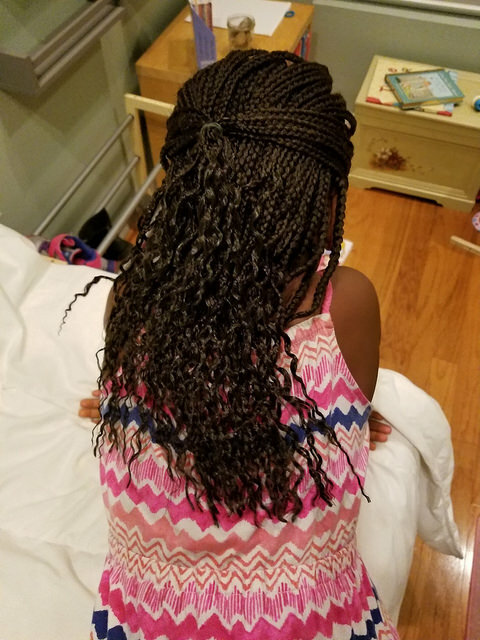 Jenn has been amazing at taking care of Grace’s hair and learning new braiding and twisting styles. On the other hand, I have pretty much capped out at two puffs. 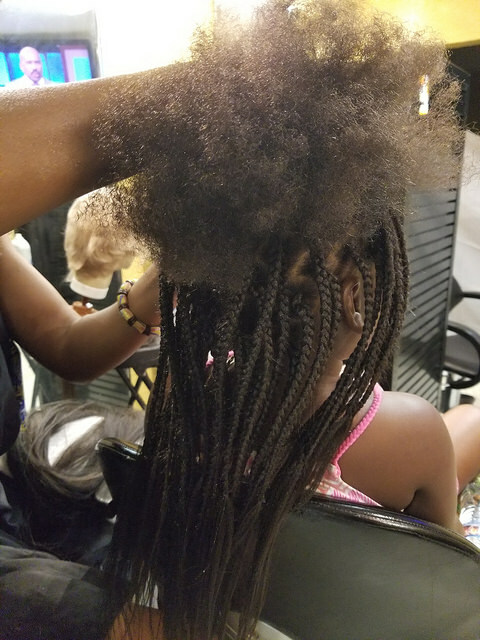 We decided to take Grace to get professional braiding done before the trip. 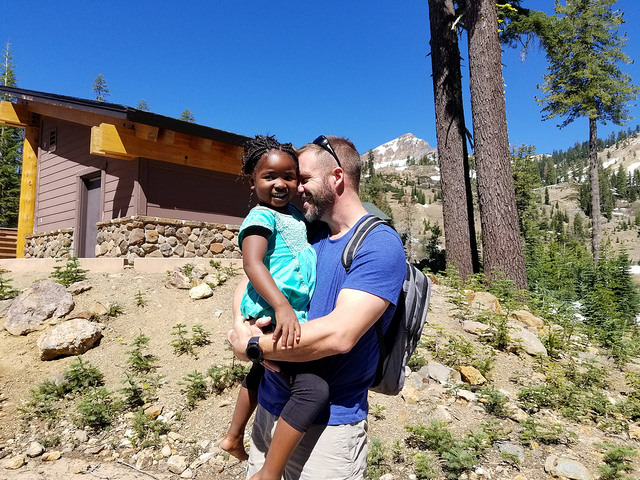 It was something that we wanted to do but also felt like it would make a busy travel schedule easier on both Jenn and Grace…again it’s only puffs for me. There is nothing like waiting until the last-minute, and Grace’s 3 pm appointment got moved back to 6 pm. It was 4.5 hours later when Grace finally arrived home…looking like a teenager. She was apparently great and only fell asleep in the chair towards the end. Not bad for a girl who usually puts herself to sleep by 7:30 in the evening. The big problem was that our flight was leaving at 5:50 the next morning. Around midnight Jenn & I finished getting ready and got to sleep. Our kids were troopers for the early morning wake up call. With a layover, it was a long flight, but the kids are always great travelers. Once we arrived at the airport, we went to get our rental car. This could have been a disaster because we had to wait for almost 2 hours to get our car and we had two tired and hungry kids (as well as parents). They built a fort in the waiting area and were happy to have parent-free time. We also had realized (right before we left) that we forgot our booster seats. So this meant that we needed to navigate downtown San Francisco to stop into Target to pick up two new booster seats. I do not do well with big city traffic, especially when I don’t know where I am. So needless to say my stress level was a little elevated. After clumsily installing the two new booster seats, on the side of the road during downtown rush hour traffic, we were good to go. It was time to start our four-hour plus drive to our first hotel. We were scheduled to arrive after 10 pm (or 1 am our time). We drove up to the hotel with two kids dead asleep, checked in and fell asleep fairly quickly. We woke up around 7 am the following morning and took turns eating breakfast. We would come to learn that this was the best decision we made that day. 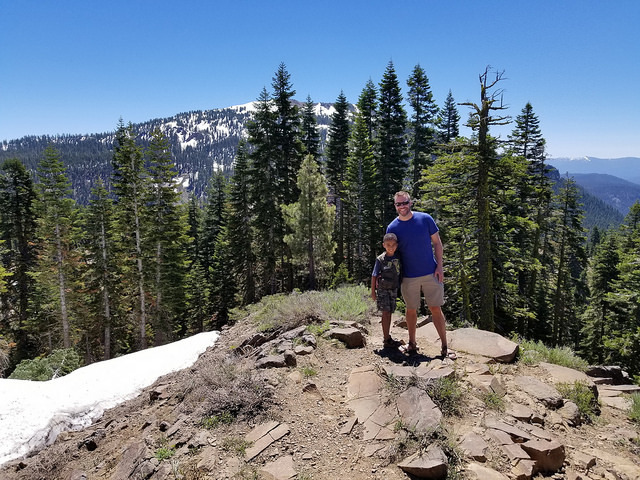 We got back on the road and made our way to our first stop Lassen Volcanic National Park. 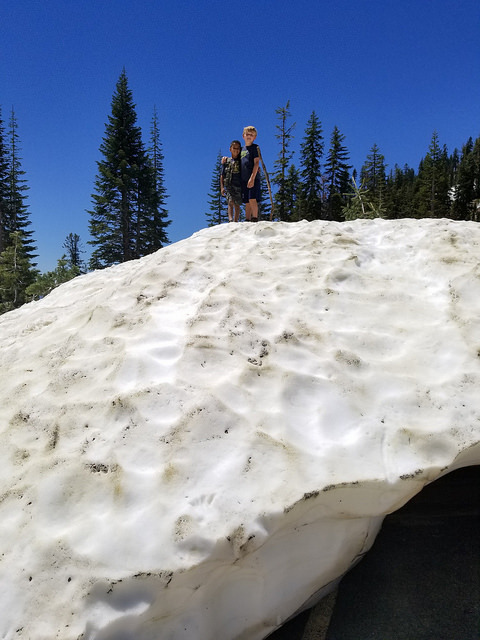 Although it was late June, there was still a bunch of snow on the ground, and some areas were closed, but the kids absolutely loved the snow, the mountains and even the sulfur pits (which were cool but smelled awful). They even met a new best friend, who made adventuring and jumping in mud even more fun. 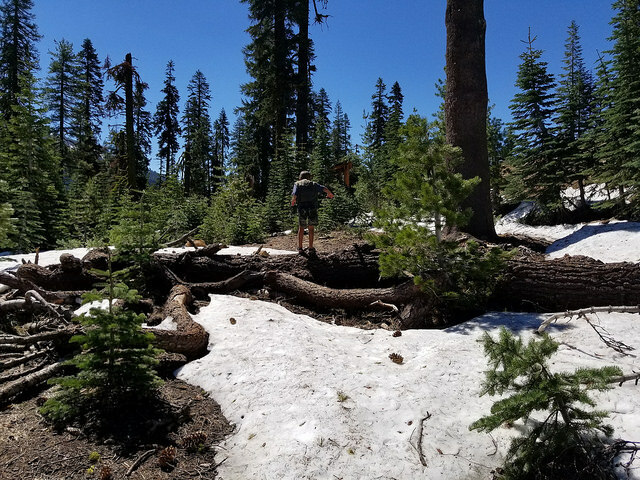 The one thing that Lassen Volcanic National Park did not have was food. 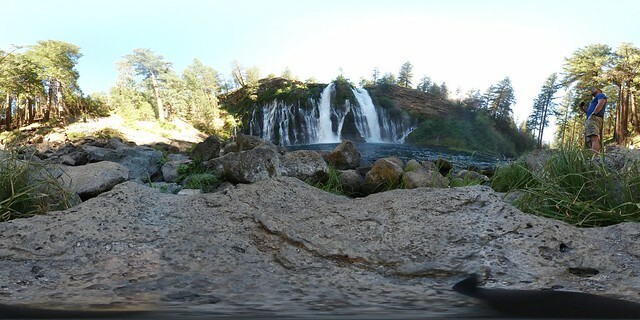 No big deal, we would explore and then get something when we got back on the road. 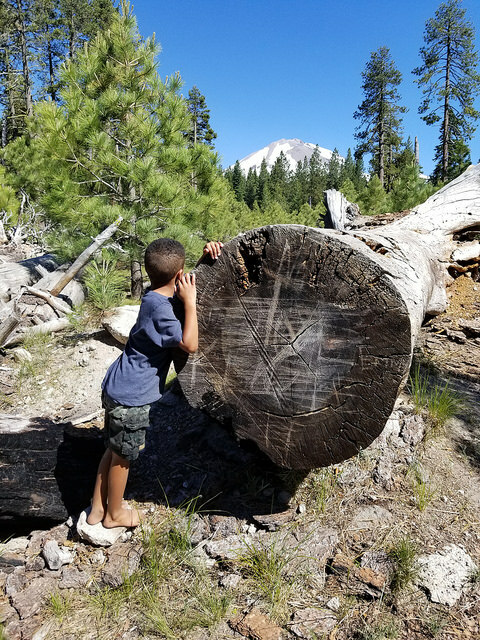 We went on an awesome hike and it was a great day of exploring and we felt like Lassen was one of the most amazing places that we had ever seen (this would become a theme with each new place we visited). 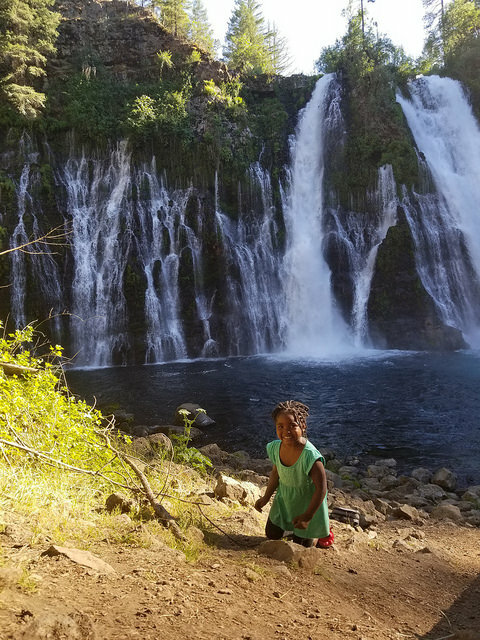 We left the park, got on the road for about an hour and stopped at Burney Falls which was a recommendation from one of Jenn’s high school friends. We were all tired and hungry, but this place was serenity. It was cool and beautiful. We just sat on the rocks and took it all in. 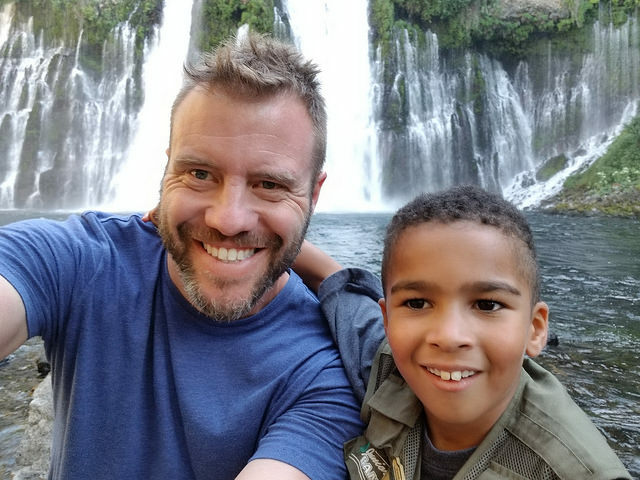 If he could have, Nolin probably would have tried to jump in the water because as an “Adventureman” he was in his own playground. It was now late in the afternoon, and we still had another 3 to 4 hours of driving before getting to our next destination. Plus we had only eaten a can of Pringles between all of us since breakfast that day, so it was time to get some food. We would come to find out that there really wasn’t many (and by many, I mean any) options for food as we got on the road…whoops. We finally found a Burger King, by the time we got there, Grace was already asleep. We kept trying to wake her up, with no luck. Finally, she began sleep eating as Jenn held fried to her mouth. We were not really winning parents of the year. When we made it to the next hotel, both kids were asleep, I was exhausted and looking forward to going to bed. Unfortunately, we were staying at a really cool hotel that we were not going to have a chance to explore. That was ok because at this point I was simply looking to shut my eyes. Both kids woke up as we were entering. 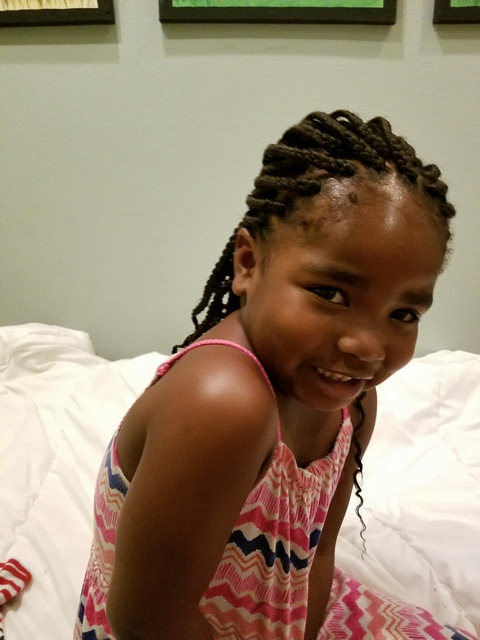 It provided enough interest to fill them up with energy and get them excited about sleeping in a hotel…bed jumping and games ensued. So much for getting right to sleep for me.